Erol Mustafov, Co-Director of the festival said: “An outstanding quality of submissions this year which created a challenging work for our judges. A great improvement in production values for web series in comparison to 2015." Judges on the panel included Producer - Edwina Forkin, Writer/Producer - Nuno Bernardo, Journalist - Clare Rose Thornton, Director - Wissame Cherfi and Director - Jack Jewers. 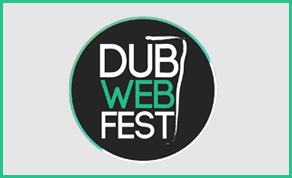 Irish Series ‘The Hurler’ and ‘Listen to the Experts’ have been selected to screen at Wendie Web Fest in Hamburg and Sicily Web Fest next year.